that we achieved in 3 months. 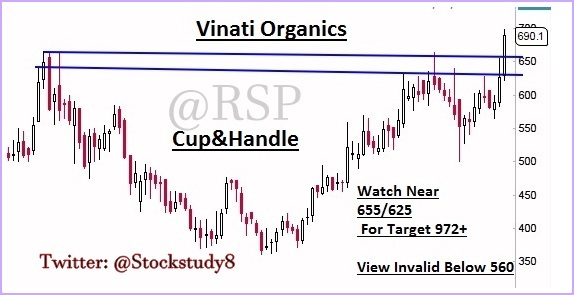 Check Below Link for old Reco. 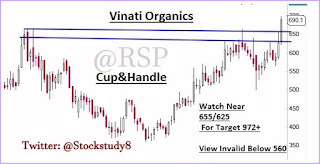 Now This time again Stock has given Fresh Cup&Handle Breakout. 2. Trading Above All Major Moving Avg. View is Invalid below 560 CB.